A tasty and sweet Christmas treat perfect for any party! 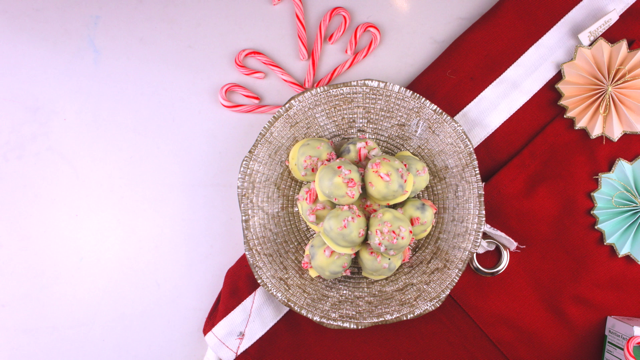 These delectable Oreo Truffles are made of Oreo cookies and Cream Cheese, dipped in sinful white chocolate and sprinkled with colourful candy cane for a beautiful finish. In aMini Processor, crush whole Oreos into fine crumbs and add to medium bowl. Add softened cream cheese and peppermint extract. Mix until well combined.